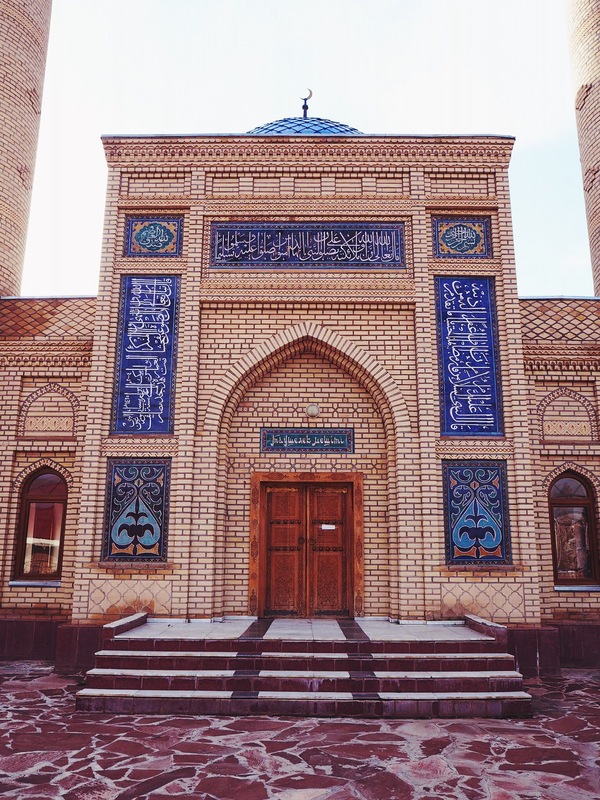 Kazakhstan – Sometimes the wrong train will get you to the right place. Our flight back to Almaty was uneventful. We landed in the evening and made our way to our hostel with the shoddy directions given. They said to take bus 92 to Sayakhat and then transfer to the 141, but no details were given about where exactly the 141 stopped, so we wandered around in the newly-cold weather (it was about 3° in Almaty, compared to the 18° of Baku when we left) asking random people where the 141 was. The neighborhood we were in was not particularly welcoming, and it smacked of a Soviet era wasteland; desolate and unforgiving. After finding the 141 stop, we waited for 20 minutes before giving up and concluding that the 141 was not running. We walked to a metro station (there’s only one line in Almaty and our hostel was not near it, so it wasn’t very helpful, but at least it was warm) and rode until the stop nearest our hostel (still 3km away). We figured we would take a bus if we saw one, but we did not, and ended up walking the whole 3km, packs and everything. There was still snow on the ground from a few days prior. A lake in the hills. We did eventually make it, and promptly set out to find food, which seemed like a difficult task at the time (around 23:00). We found a kebab stand after more wandering, and got a bottle of wine from the shop. I misread the label as “dry”, but what it actually said was “dessert”, so we were in for a sugary surprise. Decent wine nonetheless, and we ended up finishing the whole bottle over conversation with a few other guests. 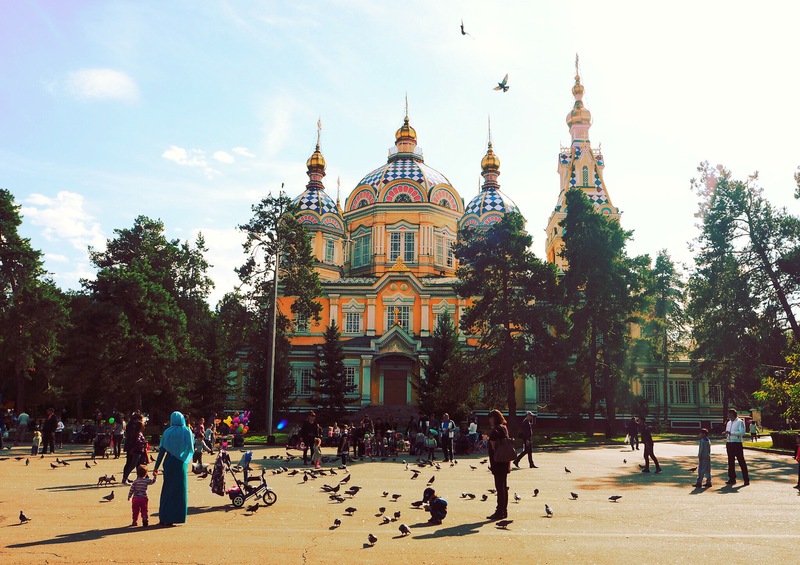 Oona’s friend, Noora, was meant to arrive the following morning at about 5, but her first flight was delayed, so she ended up missing her connection in Kiev and was put up in a hotel to wait for the following day’s flight. This meant Oona and I had some time to kill, so we walked around a bit, exploring the town. We were immediately surprised by how many cool looking restaurants, bars, and coffee shops there were mixed in with the more traditional, shall we say, architecture. It was like a strange mix of the East Village and Soviet Moscow. At any rate, we dabbled, having had nothing else to do, and ended up discovering a few nice places. Decent cocktails were shockingly cheaper than a beer or glass of wine, so we stuck with them. Noora arrived at 5 the following morning, and after knocking and ringing the bell to no response, she somehow managed to get in and posted up on the couch for some sleep, not knowing which dorm we were in. Oona woke up from a text message and came downstairs to find her. At this point, the hostel receptionist conveniently awoke, seemingly angry with having been awoken. After sorting the bed situation out we slept until a decent hour. The following day was relaxing, mostly just walking around town, eating lunch, getting coffee, eating some more, drinking more coffee (Irish, this time). 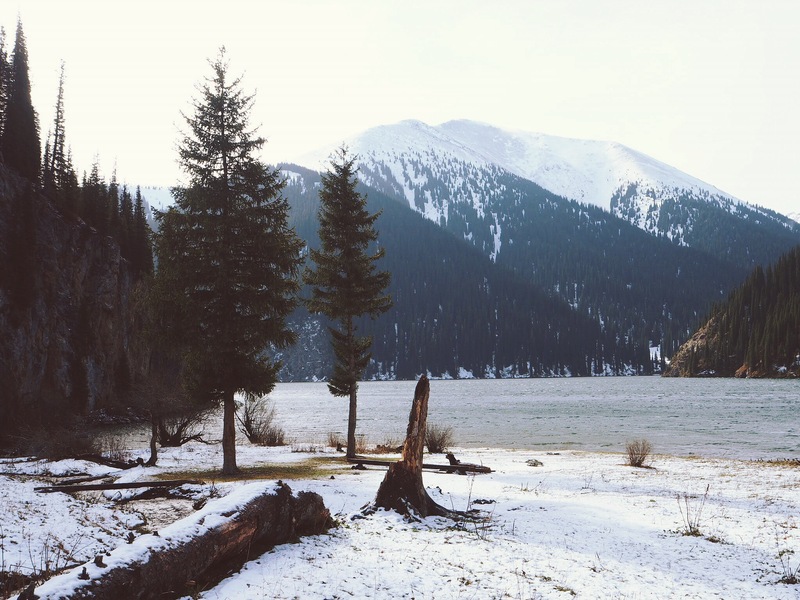 The following day I was to go hiking at the Kolsai lakes, about 250km east of Almaty. The one daily bus to Saty was supposed to leave at 6:30am, so I got in a cab at the ungodly hour of 5:30 and headed to the Sayakhat bus station. I was greeted by some old Kazakh men standing around smoking. They seemed to indicate that the bus would be leaving at 7. A bit later, it was conveyed that there was in fact no bus, but the option of sharing a taxi with some others existed, so I stood next to a man whom I determined was going to Saty as well and sure enough, a van pulled up some time later and we got in. We sat around waiting for people to show up, and eventually it filled up at about 7 and we took off. The price was 3000 tenge (there is no ATM in Saty either, so bring cash). 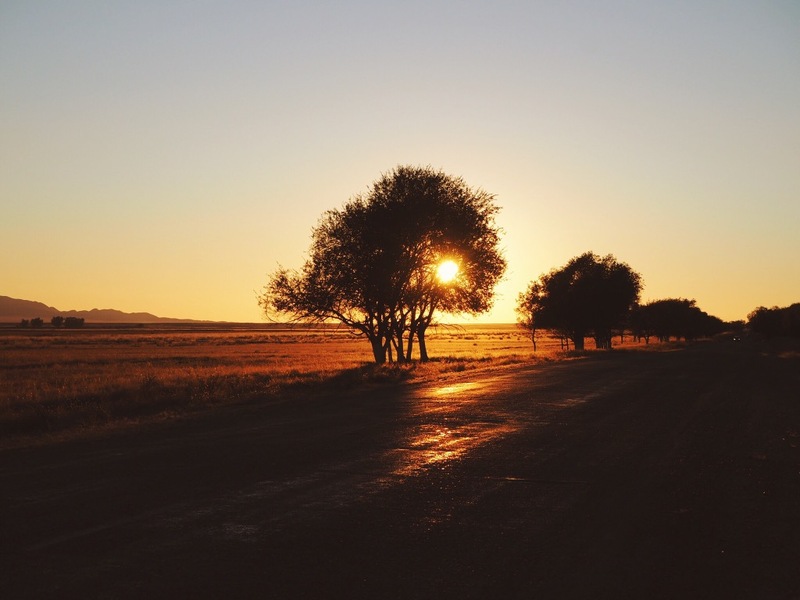 Once in Saty I headed to the park entrance by foot, a few kilometers down the dirt road. After a short while a couple young guys driving by picked me and took me to the entrance, where I paid a seemingly arbitrary sum of money for a “ticket” and was on my way. The weather was pretty poor, so the visibility was lacking and I was wet and covered in snow by the time I made it to the second lake (18km from the entrance). Pro tip: on the way to the first lake when you hit the three way fork, cross the bridge over to the west side of the river and stick to the road right next to the river (not the main road which winds its way up into the hills) until the lake, this eliminates a lot of unnecessary switchbacks and elevation gain that you would have with either the main road or the road on the east side of the river. The weather report turned out to be totally wrong, and I awoke to somewhat clear skies with wind battering the trees. This at least afforded some views not gotten the evening before. Back in Saty after the hike back down I confirmed with a few people that the marshrutka back to Almaty would be leaving at 5am the next day and set out on finding a suitable place to camp not too far from town. The townspeople wander around a lot doing this and that (hunting, herding, collecting wood, etc) so I had little solitude, but fortunately nobody seemed to care. There was the occasional bullet ricocheting a little too close for comfort though, which was sort of concerning. 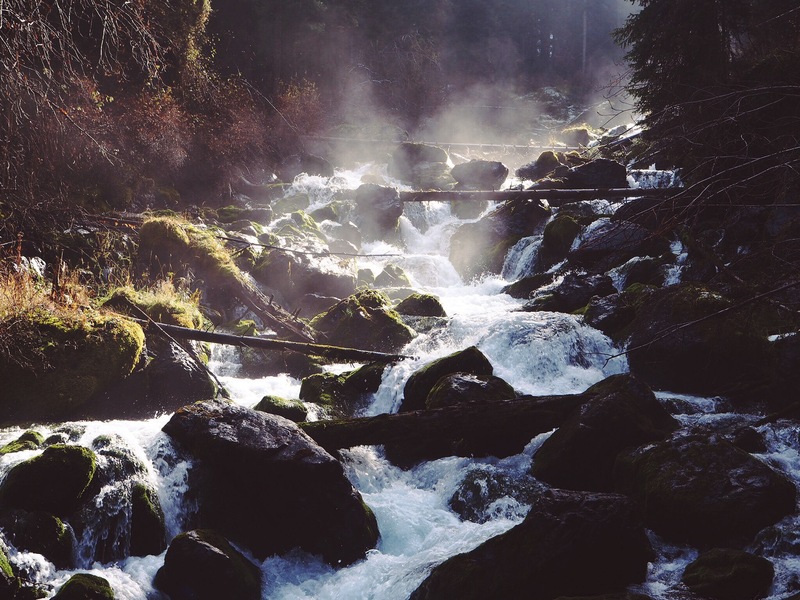 Steam rising off of the river. I awoke before 4am the next morning with the tent under about 10cm of snow, quickly packed things up and headed to where the van leaves from only to find a town totally devoid of activity (predictable for 4am). No van in sight, dark houses, and empty streets. At about 5:30 a solitary man came stumbling by in the darkness and I asked about the van. He made a few calls, and then waved me to walk with him down the road. He pulled his car out and we sat in it (a great respite from the bitter cold and falling snow) until the van finally came around 6:30. It was conveyed that there was some problem starting the van up that morning, causing the delay. It wasn’t much later that we were stuck trying to make it up the pass out of town, the driver called his friend to come who towed us up the pass in a hilariously undersized Lada Niva. In the meanwhile Oona and Noora were planning our future adventures while exploring some sights around Almaty. A night out started at the Guinness Pub, a not-particularly-creatively-named Irish pub (surprise!). There was much drinking and dancing, with a band from California serenading the mostly empty pub. Esperanza was the next stop, a fancy basement club and apparently something of a destination in Almaty. Complete with girls in glittering miniskirts and stilletos and guys rocking high end suits, while Oona and friends were dressed in the modest trappings of backpackers. One drink was enough, and they called it a night. The following day they shared a car with a German guy (Timo) and a similarly-named Dutch guy (Tim) from the hostel up to Big Almaty Lake, a natural reservoir for drinking water in the mountains near Almaty. 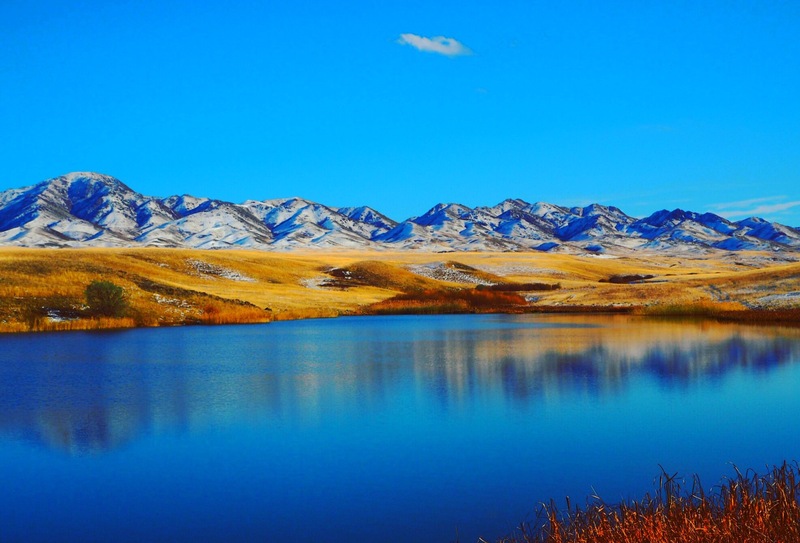 The water and surroundings are beautiful, but the lake is strictly protected (as it is a source of drinking water for much of Kazakhstan’s population), so hiking near it is prohibited. This point was driven home numerous times by the hostel as well as the driver. They told horror stories of tourists wandering too close to the lake, getting picked up by guards demanding crazy sums of money for trespassing, and getting thrown in jail for failing to pay the “fine” (a bribe, in reality). With such warnings firmly in their minds, they stayed far away from the lake, wisely opting to take in the views from afar. 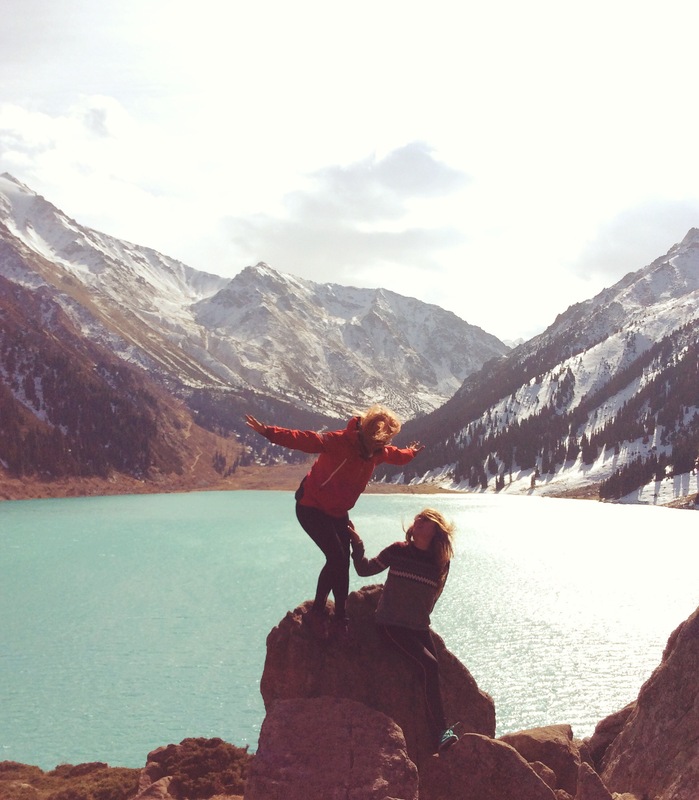 Oona and Noora at Big Almaty Lake. The driver organized by the hostel (henceforth Uncle) divulged that he only gets a very small portion of the money collected by the hostel for the tour, so Oona asked if he would be willing to drive us all on another tour without the involvement of the hostel; a risky move on his part since if the hostel found out they’d fire him for sure. He agreed, which made things much cheaper for all of us. What followed was a series of clandestine meetings and discussions, geared towards keeping the plans from the hostel in order to protect the livelihood of our trusty driver. His English was pretty spotty, so much of the early planning phases were a jumble of misunderstandings and poor communication. 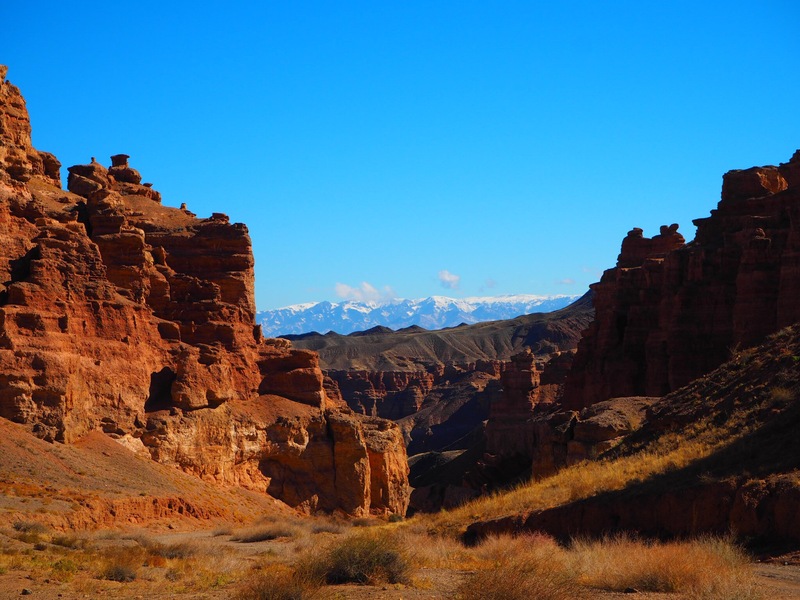 What we were sure of is that we’d be doing some sort of tour to see the Charyn Canyon, the Singing Sand Dune, and possibly Lake Kaindy and that we’d be meeting with him to buy food from the cheapest place in town. The latter aspect was also unclear because we were buying raw meat and vegetables, with no straight idea of where they would be cooked. Herding the cows with a nice backdrop. Then came the driver’s nephew (henceforth Nephew), an 18 year old prodigy of sorts with an excellent command of English (with a posh sounding British accent, although he had never even been to the UK). He quickly explained that the guest house we’d be staying at would cook the food for us, we just needed to provide it. Fair enough. We left in two RAV4s (one driven by the original driver, and the other by his brother and boy genius nephew) early the following morning accompanied by bright blue skies and sub zero temperatures. 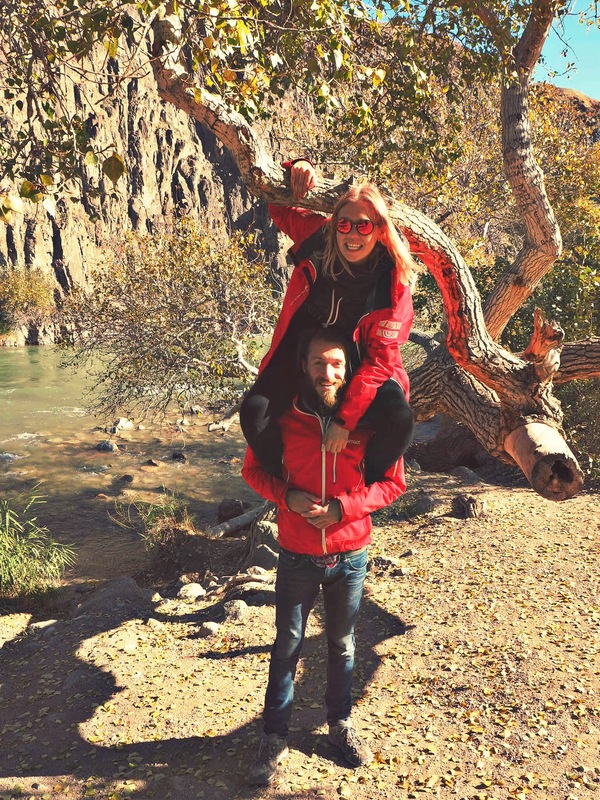 After several hours of driving we made it to the Charyn Canyon and hiked down to the river and back. Just as we showed up a British family came peeling into the parking lot, beat us down the steps, and proceeded to dilly dally down the path, making it difficult to engineer pictures without them. We eventually waited long enough that they were out of sight and got some good ones. Sunset on the way to Altyn Emel. After much negotiation with various parties the next day, including the park tourism “office” in Nurum (it felt more like a military base) and even the neighboring store (they were having a hell of a time doing basic tasks like counting how many bottles of water we had and calculating the final bill, not to mention how much change we were to get back) we were on our way. Our next stop was the Singing Sand Dune, which is a large dune that makes a low humming sound from wind passing over it, a bit farther into the park. 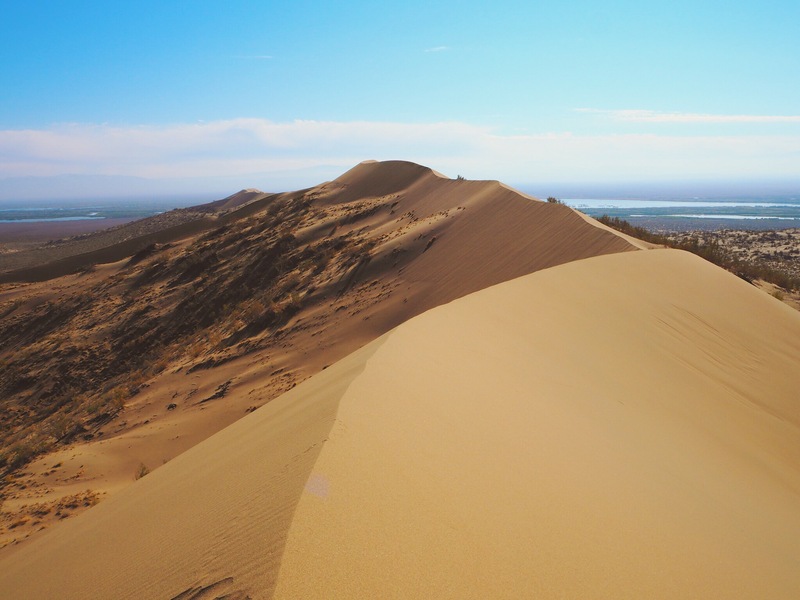 The sand dune was nice, but not particularly impressive compared to the towering monsters we saw in the Gobi, but a fun destination nonetheless. The trip as a whole was beautiful, and we were treated to beautiful weather the whole time, giving us some great views of the surrounding mountains. Back in Almaty we stayed at a different hostel and hastily decided on accompanying our new travel partners to Bishkek. It was our next destination regardless, and in light of the newly-discovered visa situation it is becoming apparent that our schedule is a bit tight until Beijing. Your intrepid adventurers at the end of the Charyn Canyon. An easy few hours later we were all at the border with a shared van. It’s funny how these places that have a bad reputation for tough border guards end up being the easiest. We continue being held up, but only because the guards want to talk, or sit there in wonderment looking at our passports. All the while other guards come up to try out the few English phrases they know, calling out “how are you? !” (and of course standing in stunned silence at the response, something they were apparently not prepared for) or “welcome!” Things aren’t so bad all the time.